Canada remains as one of the best countries for retirement. In fact, relocating to the many wonderful Canadian cities has become increasing common among expats who want to enjoy a more laid back lifestyle surrounded by a beautiful natural environment. Meanwhile, residents of big cities like Toronto, Ottawa, and Vancouver also look for senior-friendly cities where it is possible to enjoy their retirement while ensuring their retirement funds last. If you have spent the last 30 or more years working hard and now wish to enjoy the fruits of your hard labor, you can choose to move to a new city with lower living costs and even enjoy a higher quality of life. Not everyone who retires is 60 years and older. There are many people who retire earlier for reasons such as health and other personal circumstances. No matter what age you retire, it is important to determine what factors would make retirement happy and comfortable for you, day after day. The big question is: What are the best retirement places to move to in Canada? You’ll need to consider factors such as cost of living, access to healthcare, transportation, weather, crime rate, and entertainment amenities. Below we have put together comprehensive information about Canada’s best places for retirees. We want to answer all the usual questions about moving to a new city, including solutions for long distance or cross country moving for seniors. You can look up more resources for retiring in Canada when you visit the Canadian Association of Retired Persons and Seniors Canada. People love lists because it makes it easy to see the best options. However, retirement is very personal; people also need to look at some factors aside from the usual criteria that these lists use for their ranking such as location, affordability, amenities, and healthcare. In fact, when people choose where to move to retire, other personal reasons such as proximity to family and childhood experiences also come into play. How can one choose the best place to retire? Below are some of the common and important factors you may need to look at before making your choice. Living on a fixed income or pension requires careful planning. You’ve saved hard for your retirement so you’ll want to make sure your retirement money goes a long way. For this reason, a lot of people move to smaller cities after they retire to reduce cost of living expenses. In Canada, seniors on basic pensions could have limited options when they want to move to senior housing facilities. While there are affordable subsidized retirement homes, they are in high demand and long waiting lists. For seniors who want more control over their retirement living conditions, they would choose private retirement homes and use their own funds. This would require careful planning and preparation, including long term care insurance to balance mortgages. Aside from housing, affordability would also mean looking into taxes because some provinces have lower tax rates than others. Healthcare is one of the most major considerations when choosing where to retire. No matter how beautiful or how affordable a location is, it could be a bit more inconvenient if the ratio of doctors per capita is low or if the nearest major hospital is hours away. Crime rates definitely matter to most people, especially retirees. Many cities have dangerous neighborhoods one must avoid. Don’t rely on published statewide statistics. It is far better to contact the local police precinct for information on the local crime situation. For those who can afford it, gated communities would be a very good option. When planning where you want to retire, fast forward to the future, like 20 years from now to see how you would manage for a week or two without a car. You might be surprised and realize that when you are less mobile, your town might no longer be ideal. It is a good idea to look for safe and walkable neighborhoods or cities that have an efficient and reliable means of public transport. It might seem trivial but the weather is a major factor that most people consider when planning where to live in retirement. In fact, majority of retirees who choose to move choose places with milder weather, and in possible, even tropical weather. In Canada, there are cities that have less severe winter temperatures and more sunny days in a year. Most lists don’t include family when coming up with their best places to retire but in truth, seniors want to live closer to where they have family. If you move to a great location where you don’t know anybody, it could get pretty lonely fast. The desire to be closer to family members is a huge driving factor. So even if you find a beautiful city where life can be really perfect, you might choose to relocate somewhere less ideal just to be close to the grand kids. There are a number of factors to consider when choosing where to live out your retirement. Factors such as cost of living, housing, transport, crime, and weather are good measures for evaluating where you can live comfortably for the rest of your life. Family considerations are also important as living too far away could mean spending less time with them. So when choosing the best place to retire in Canada, you might also consider where you can actually have a best life and not just the best place. Today, Canada has one of the highest average life expectancies worldwide. With this growing trend of Canadians living past the age of 80, more senior housing options has expanded dramatically. If you are looking into what your retirement options are or planning the future of mom or dad, you can obtain information about senior health care options in Canada. If you’re thinking your present city is no longer ideal for your retirement, there are many other cities that are perfect for retirees. Mild climate, lower housing costs, lower taxes, and friendly neighborhoods. If that sounds good, check out some of the cities we have listed below for your consideration. Comfortable and enjoyable retirement is, of course, what most of us dream of. When there is affordable healthcare, decent weather, low crime, and an active neighborhood, it surely is a dream that can be achieved. Below are some ideal retirement places in Canada, maybe even one or two you haven’t thought of. 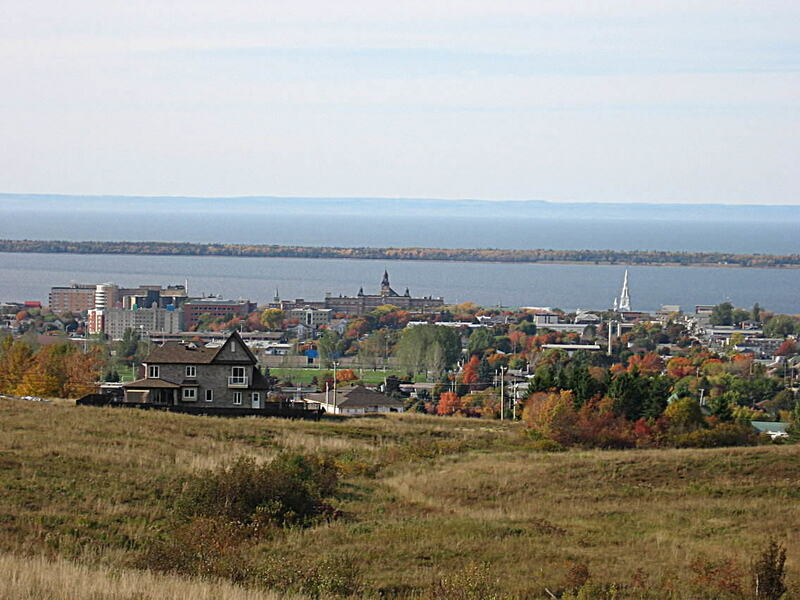 This Canadian city in Quebec’s Bas-Saint Laurent region has around 46,860 residents. It is home to the Université du Québec à Rimouski, ocean sciences research centers, and the Music Conservatory. The city has a humid continental climate with cold and snowy winters and warm summers. It is a small city, with low priced homes and affordable housing. It also has a low crime rate and ranks high on walkability. Rimouski has a 2.1 average ratio of doctors for every 1000 people, which means easy access to healthcare. The Regional Hospital of Rimouski provides specialized services including areas like cardiology, oncology, surgery, and many other fields of medicine. The city has a very active community life and hosts festivals such as the Festi Jazz International, Carousel International du film de Rimouski, and Grandes fetes du Saint-Laurent. It also hosts the annual Salon du Livre de Rimouski where authors from around the region participate. With its numerous art galleries and maritime character, it is a tourism destination for the Lower Saint Lawrence Region and the entire province of Quebec. There is a ferry service operating across the Saint Lawrence River, crossing Rimouski to Forestville. It is the fastest ferry in the province, with travel across the river in less than an hour. Rimouski is also one of the Nordik-Express Line’s end. In addition, the city also has a VIA Rail service three times a week. MoneySense Magazine also ranked Rimouski as # 1 Best Place to Retire in Canada. Interested in Rimouski? Find out more about living in Rimouski, Quebec. MoneySense Magazine also named Kingston as one of the best places to retire in Canada. This truly attractive Ontario city offers high quality of life with a climate that is cool yet sunny 45% of the time. The city has become attractive to seniors because of its quality and affordable healthcare. With crime rates low and community services directed towards seniors, many retirees consider it an ideal haven. Beautifully situated on Lake Ontario’s shores, it was a waterfront where you can walk. As a thriving city, it has a vibrant dining, arts, and culture scene with small city appeal and affordability. It offers a wide variety of choices for enjoying the outdoors. It is also a huge advantage that it is located halfway between Montreal and Toronto. 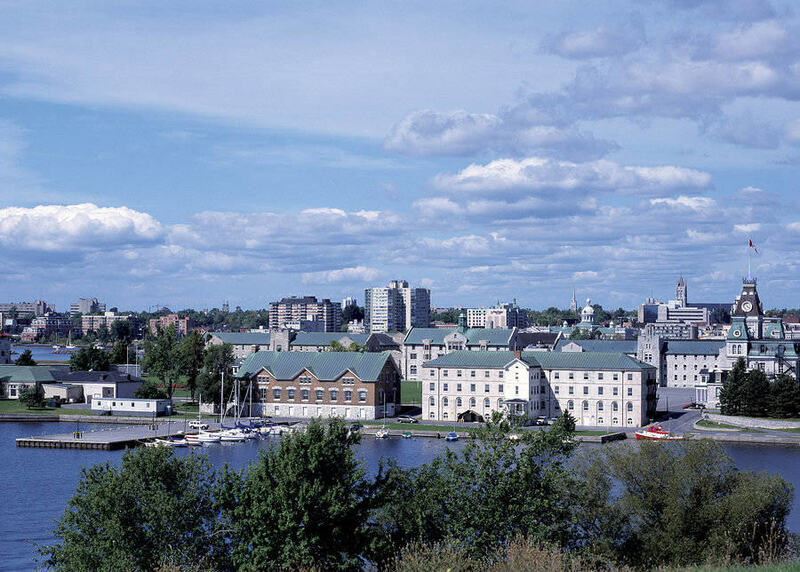 Many retirees from bigger cities like Toronto or Ottawa decide to relocate to Kingston for its slower pace of life and lower cost of living. There are also many ways to move around the city. Most Kingston residents walk or ride a bike. The municipal transit system also runs a network of bus routes around the city. Taxis are also readily available. The city’s size makes it perfect for walking. Based on a government survey, more people walk to work in Kingston than other Canadian cities. Many residents also walk for pleasure or exercise in any of the numerous parks and cycling trails along the waterfront. Kingston’s size makes it an ideal city for walking. A government survey found that more people walk to work in Kingston than in many larger cities in Canada. The city also has free walking tours you can use to explore its many different neighborhoods. The city has a humid continental climate, with cooler summers and colder winters compared to other Southern Ontario cities. Due to breezes from Lake Ontario, it is one of the windiest cities in Canada and can experience heavy snowfall events. Kingston is popular for fresh-water sailing and has hosted sailing events. It also sits in an excellent cruising and boating area, with easy access to waterways including Lake Ontario, St. Lawrence River, and the Thousand Islands. Other sports amenities include 8 golf courses, two of which are public. 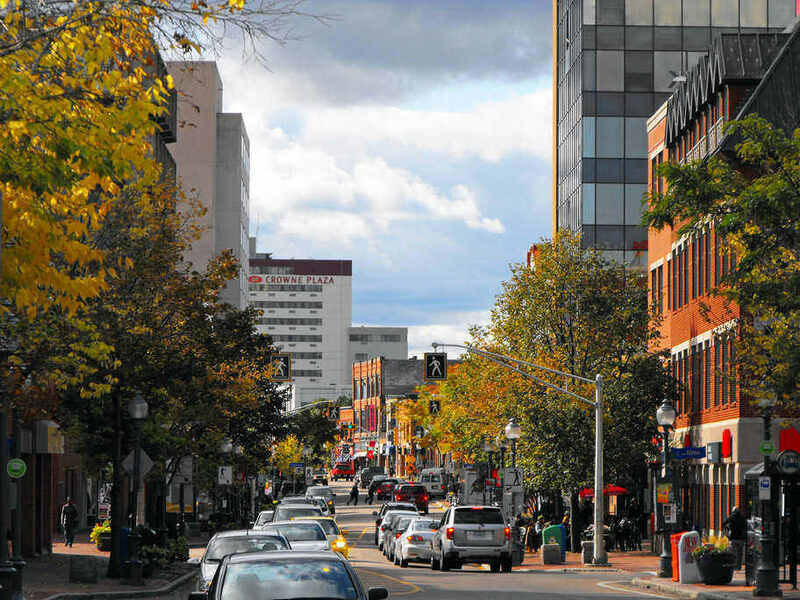 Kingston is definitely on top of the most desirable places for retirees to live. Check out some of the city of Kingston attractions, such as fine dining places, wineries, and other local happenings to see if this is the city for you. 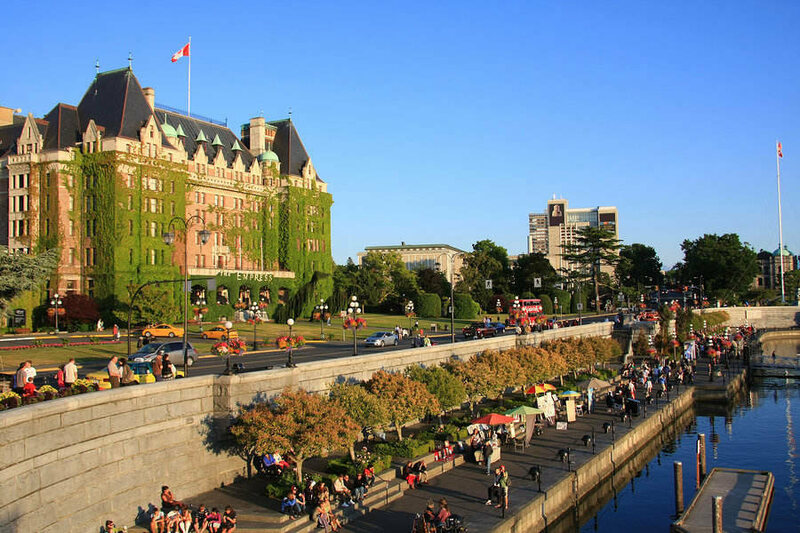 Victoria’s atmosphere makes it a very attractive place to retire in Canada. It has the mildest climate in the country year round, and has the added lure of active living and superior amenities. It is actually famous as a place to escape the cold winter and was named in 2013 as a top Canadian retirement city by MoneySense. In a 2011 census, the city was home to the 5th highest percentage of residents 65 years or more. Almost 20% of the city’s population is in their senior years, with 6.2% above the age of 80. People who live here enjoy an outstanding array of activities. There are numerous recreational clubs devoted to mature citizens and outdoor activities like saltwater and freshwater fishing, bird watching, sailing, and tennis, among others. It is also proud to have the longest golf season in the country, with opportunity to play all year round. It has more snow-free days than any other Canadian city as it hardly snows here and when it does snow, it isn’t for long. The city experiences higher than average sunny days and only half the amount of rain as Vancouver. The temperature seldom drops below freezing. Due to the moderate climate and being surrounded by water, it is green throughout the year and is a gardener’s delight. You will love the stunning gardens that can be found almost everywhere. Downtown is small and walkable, wheel-chair accessible and without any steep inclines. It is dog-friendly with lots of parks and off-leash places. You can hike or take a drive to within 30 minutes to see spectacular viewpoints overlooking the sea and the mountains. With a lower crime rate than most of the big cities, it is one of the safest places in Canada. Moving around the city is convenient with an excellent public transit system. Victoria International Airport is also a busy airport with daily departures and non-stop services to most major Canadian and US cities. Many senior facilities and health centers provide different levels of care. For housing, you can also choose from condominiums, townhouses, or patio homes. Senior living communities and retirement homes also have perks such as clubhouses, spacious living spaces, and excellent healthcare facilities. The cost of living in Victoria is reputedly high compared to other Canadian cities. But if you compare with cities of the same size, climate, and amenities across the world, it is actually reasonable. Victoria ranks high on the unaffordable housing market but it is only in number 8 spot. While housing costs may be higher, the quality of life is also much higher. There are also housing types with different price points across Victoria where you can find something that suits your budget. Get a glimpse of what it’s like to live in Victoria, BC from this short video below. Quebec City is rich in culture and history. A really beautiful city, it also happens to be a UNESCO World Heritage site. It is one of the country’s least expensive cities that offer all the urban amenities your heart could desire. With lots of access to nature, it offers a high quality of life that other cities would find hard to match. Located 250 kilometers east of Montreal and some 850 kilometers north of New York City, it has a great geographic location. No wonder it is the center of the economy of Eastern Quebec and the seat of government of the province. It has a deep sea port that is open throughout the year. 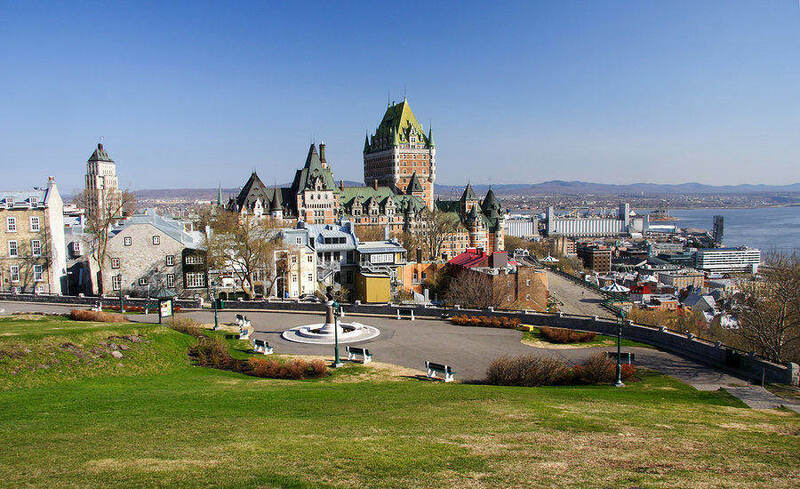 This capital city has around 168,000 residents within the city limits and around 670,000 residents in the Greater Quebec City metropolitan area. Many festivals occur in Quebec that draws thousands of visitors including the Quebec Summer Festival, Quebec Winter Carnival, the Expo-Quebec, Carrefour international de théâtre, and many more. It has more than 27 museums including the Musée du Québec and the Musée de la Civilisation, the Quebec Symphony Orchestra and Opera, and a network of public libraries. Regarding crime rate, the city is very strong as it has the lowest violent crime statistics across all cities. Regardless of what stage of life you are in, including those ready to retire, Quebec City is a top moving destination. It has great access to healthcare and moving around the city is so easy with its amazing transit system. With its breathtaking natural landscapes, residents enjoy beautiful surroundings all year round and unlimited opportunities for enjoying the great outdoors. According to a report from Canada Mortgage and Housing Corp., Quebec is a leader in retirement housing and accounts for half of 2,794 residences for seniors 75 years and older. Some 18.5% of seniors in the province live in retirement homes. There are various options for retirement communities and services in Quebec including active adult living, independent living, assisted living, and long term care. In terms of care and amenities, these retirement homes are among the best. Some suites offer personal balconies, fireplaces, with community gardens and pubs. In Quebec, all retirement communities are mandated to register with the Registry of Residences for the Elderly and are issued a certificate that they have complied every 2 years. To get this compliance certificate, they must meet 25 criteria that regulate all retirement homes including food, medication, safety, and insurance. Did you know that almost 16% of residents in Burlington are of retirement age or higher? This is even higher than the average senior population in Canada. This lakeside city appeals to seniors because of its moderate climate with summers that are hot and humid. In 2014, MoneySense magazine ranked Burlington as 5th among the best places to retire in Canada. Located on the shores of Lake Ontario and just an hour away from Toronto and Niagara Falls, this very beautiful city offers a high quality of life with unlimited access to the outdoors. It has more than 580 hectares of park land, with indoor and outdoor pools, 6 community centres, and 9 golf courses. It also offers some of the best hiking in the world with the Niagara Escarpment and Bruce Trail. Its main attractions also include the Royal Botanical Gardens which houses the world’s largest collection of lilacs. In terms of cultural attractions, it has the Burlington Art Centre, the Joseph Brant Museum, and the Oakridge Farm. It is easy to understand why many Canadians choose to live their retirement in Burlington. Aside from the excellent weather, the city also has very low crime and great access to medical care. It is also a stone’s throw away from important destinations. Whether you long for a quiet day in the countryside or explore some big city excitement, or do cross-border shopping, Burlington makes it quite easy. Another important factor that appeals to people of all ages to move to Burlington is its safe neighborhoods. Aside from the absence of crime, communities are known to be very neighborly. In fact, the city is well-known for having a community spirit where people get involved. Over the years, many independent living facilities, senior residences, and long term care facilities have sprouted in Burlington. In fact, you can find a great number of retirement homes, many of them with excellent amenities that promote healthy and enjoyable retirement. If you are interested in finding retirement communities in Burlington, Ontario, check out this listing and get a better idea of what senior living options are in the city. Who wouldn’t want to retire amidst beauty and the arts? 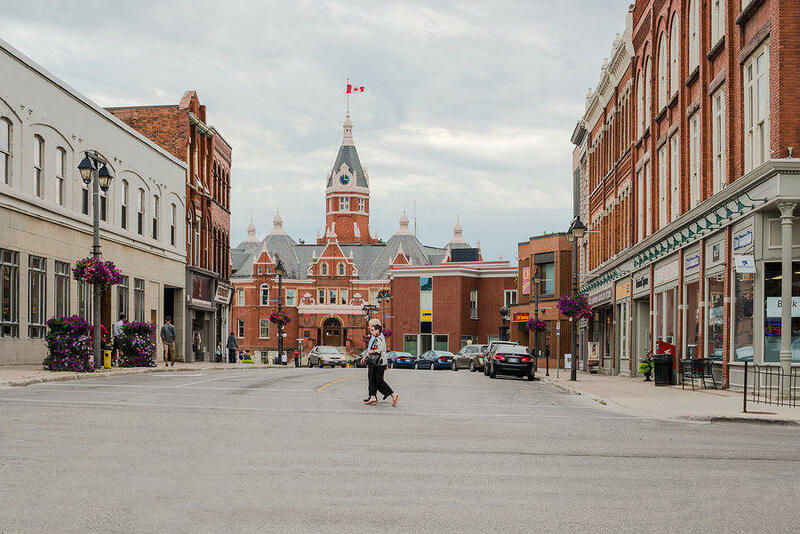 Stratford, Ontario is a favorite retirement destination for those who seek a beautiful environment, a relaxed lifestyle, and a bounty of arts and culture venues. This small city has a pristine location with its proximity to the Avon River. But it has more to be proud of besides its landscapes. It also has state of the art hospitals and facilities that are among the best in terms of health and emergency care. It has a vibrant downtown, with pedestrian-friendly spaces where retirees can easily walk about without need of a car. It also has more parkland per capita compared to other Canadian cities and best of all, it boasts of a very low crime rate. Its climate has 4 distinct seasons with frequent and abrupt weather changes. Snow can be moderately heavy during winter but half of the time, Stratford enjoys sunny days. One of the advantages of moving to Stratford, Ontario is its low housing costs. In fact, the median home price is 10% and 30% lower compared to the national average and the US average. Taxes are also very reasonable, especially in medical care and property taxes. The city offers an amazing array of cultural activities such as musicals, visual arts, theater, and the Stratford Festival. You can also enjoy its many galleries, museums and antique stores. In essence, the city of Stratford is an amazing retirement destination that boasts of lovely landscapes, an affordable and high quality of life, low living costs, and a vibrant culture and arts scene. 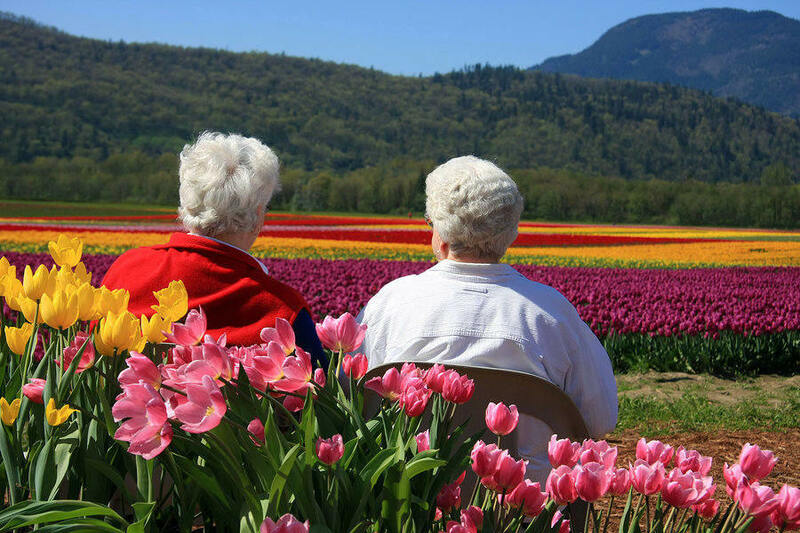 Are you looking for a retirement community that is ideal for you, or planning where your loved one can be happy? Look no further than Stratford. It has around 38 senior housing communities nearby and excellent choices for independent or assisted living. You can check out some of these choices for retirement communities in Stratford. Atlantic Canada is uniquely beautiful and this holds true for Moncton, New Brunswick. It has all the good statistics you can find online – affordable housing, low crime, and ample green space and free events where you won’t need to pay to be entertained. While Moncton is New Brunswick’s 2nd biggest city, it is small in comparison with other Canadian cities. It is also located in the only officially bilingual province of Canada. The city of Moncton appeals as a moving destination for those who want to downsize or just desire a no frills, simpler lifestyle in a beautiful environment surrounded by lakes and forests. Home prices in New Brunswick are also among the cheapest in the country. According to the Canadian Real Estate Association, the median home price stands at just $169,000. For those who enjoy the outdoors, the city has two national parks and numerous wildlife preserves. Centennial Park has lighted hiking and cross country skiing trails. New Brunswick offers a wide variety of living options for seniors and has some of the best retirement communities and retirement amenities in the country. There are many of these located in Moncton offering safety, security, and senior-friendly communities. With lower cost of living in New Brunswick, it means that even with just a modest income or pension, you can live a very comfortable life. The cost of power, food, and heating are also significantly lower than any other city in North America. This wonderful neighborhood in the city of Mississauga is located on the north shore of Lake Ontario. 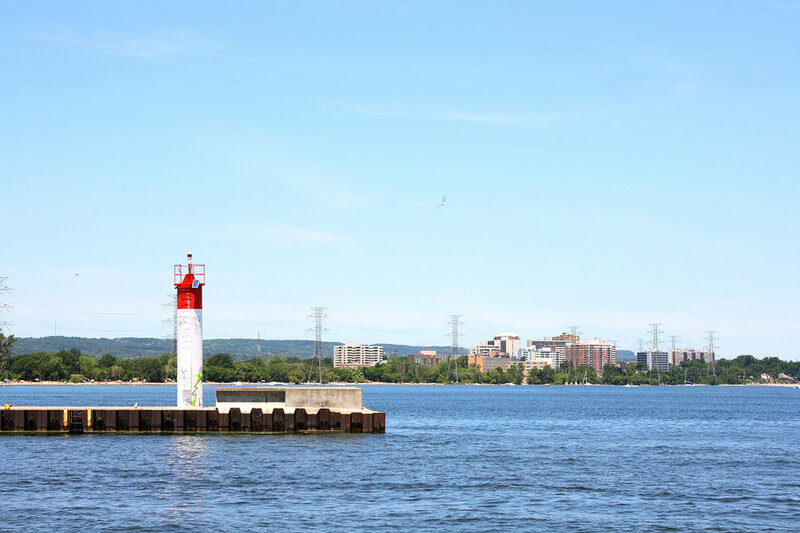 It is known as the Village on the Lake, with numerous restaurants and shops lining the Lakeshore Road as well as lakeside parks, neighborhoods, apartments, and high rise condominiums. The climate of Mississauga is diverse due to its large surface area. Snowfall is relatively low but winters can be cold and sometimes below the freezing mark. Summer months can have high temperatures with high levels of humidity. While most retirees prefer to live in warmer climates, there are other factors that make Port Credit appealing as a place to retire. Although quite close to Toronto, housing costs are relatively lower. It was independent until 1974 when it was merged with Mississauga. Until now, it retains the look and feel of another era, with blocks of 2-storey mid-century buildings. Along the lake, homes of various eras and designs are visible. If you have lived in a big city all your life and now desire a more laid back lifestyle, you will find it in this quaint and small town. Along the waterfront trail, you could stop at J.C. Saddington Park where you can enjoy time with a loved one a picnic table or barbecue spot. The harbor is popular for recreational boating and hosts numerous festivals and events such as the Waterfront Festival in June. It isn’t so surprising that Port Credit has numerous retirement communities and senior living facilities. With its beautiful landscapes and lower cost of living, it makes perfect sense for retirees to choose to be part of this very relaxed and friendly community. There is good reason why Cochrane, Alberta is one of Canada’s fastest growing communities. It is but a short drive from Calgary and is surrounded by stunning views of the Rocky Mountains. It is an ideal place for a hobby farm along Cowboy Trail while those who enjoy cycling will enjoy the views. You may have visited Cochrane for a game of golf or maybe a made a quick stop on the way to the mountains. Many people who have done that have also felt that it would be sweet to live here where hustle and bustle is absent. It has everything that the finest place to live on earth should have – great outdoors, excellent transportation system, natural areas, recreation facilities, and good housing options. Located at the base of Big Hill in the Bow River Valley, its elevation is 1,186 meters. It is known for its western culture and quite famous for ice cream and coffee. Coming home each day is an escape to the country where your backyard is the Rockies. Your money also goes further as housing costs are relatively cheaper compared to other Canadian cities. While it may have a rustic and small town feel, Cochrane has excellent facilities, restaurants, and other entertainment amenities. At present, Cochrane has 3 retirement/senior facilities namely Evergreen Manor, The Bethany Care Centre, and Big Hill Lodge. More developments, including independent living facilities are coming soon, including senior facilities like Points West Living, Hunt Coulee Village, and Golden Life. If you are thinking of moving to a retirement community, you can get more details about retirement homes in Cochrane to help you plan your move. British Columbia has one of the mildest climates in Canada but its real estate prices are also one of the costliest. But with good planning, you can look beyond Vancouver to smaller communities that offer high quality life but at a more affordable price. 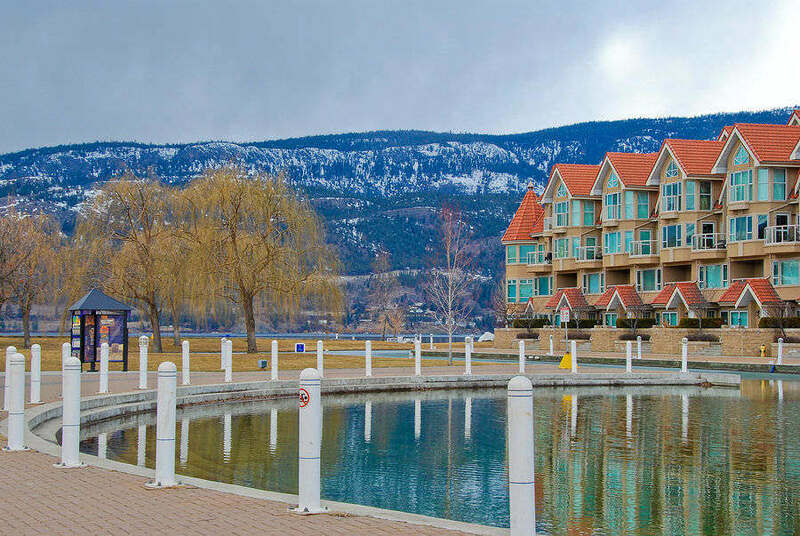 Kelowna boasts of mild winters, hot summers, and a stunning waterfront on Lake Okanagan. Situated right in the middle of British Columbia’s wine country, it is surrounded by mountains, provincial parks, orchards, and vineyards. Residents also have access to the best healthcare in the province. Even better, retirees enjoy access to plenty of golf courses and the local theatre. In the last decade, a rush of development transformed southern Okanagan from being a holiday spot to an ideal retirement place. More than 25% of the population in Summerland and Peachland is over the age of 65 while in Osoyoos, the senior population is 40%. The slower pace of life and outdoor recreation make these areas very attractive to retirees looking for the good life. Home to more than 110,000 residents, the city’s amenities also include a variety of shopping opportunities, numerous restaurants, an excellent cultural district, and medical centers with family medical practices, walk-in clinics, and specialist practices. Kelowna General Hospital has a Cardiac Surgical Center while the new Sindi Ahluwalia Hawkins Cancer Center is capable of providing high quality health care when needed. Boutique and award winning wineries are all over the mountainside and offer excellent opportunities for wine tasting. There are about 25 wineries in Kelowna but more than 200 other wineries in Okanagan so you can easily turn into a wine enthusiast if you aren’t already one. It is also known for its agriculture and you’ll find amazing food options whether you are going to Kelowna Farmers’ and Crafters’ Market or just stopping by the local grocer. 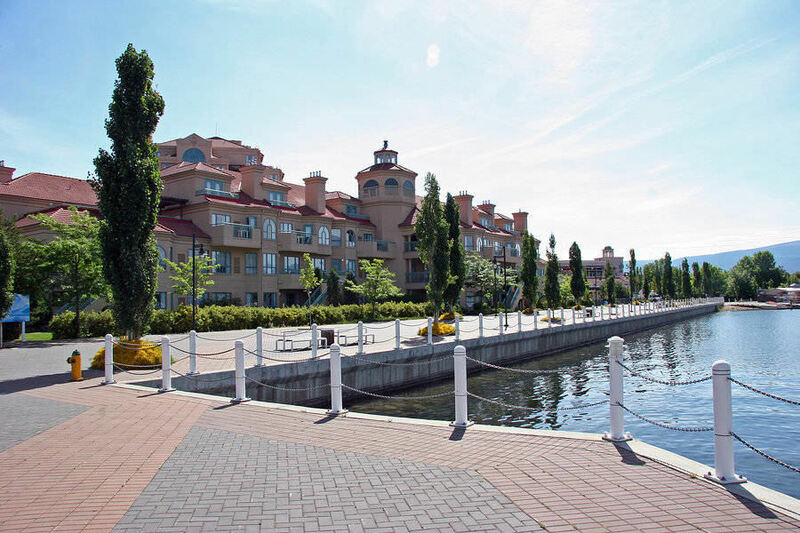 Kelowna also boasts of its 400 kilometers of separated and paved multi-use paths. Cycling is very popular and more than 11% of residents walk or bike to get around. Residents are very proud to call the City of Kelowna home. You can also make it yours and get ideas about retirement housing in Kelowna. Whether you are planning your relocation to a retirement destination or helping a loved one move to a retirement community, we can help. You can obtain efficient and affordable senior relocation services from professional movers in our network that understand the special needs required by seniors and also know how to coordinate with senior residences’ regulations. Best of all, many of them even offer discounts on senior moving services. What are the options for senior relocation? The simplest and most reliable service that professionals offer for senior relocation is full-service moving. If you are planning the relocation of a loved one to a senior community or any location, you don’t even need to be present. The moving team will take care of all the packing, the loading and unloading of all household items, unpacking, disassembly and assembly of furniture, and delivery of all household and personal belongings to the destination. This means a stress-free moving experience so that the customer can focus on just getting their new home ready. For long distance moving, majority of our movers can offer flat rate pricing which includes all necessary services and use of moving equipment including the moving truck. It is best to ensure you receive guaranteed moving estimates so you can correctly plan for the cost of your move. Of course, not all moves are the same. In case of seniors who have family who can help out and want to reduce the cost of moving, another option is to obtain a package for moving truck with movers who can help with loading and unloading the truck. This is a semi-DIY move as you will need to take care of your own packing. If family members prefer to rent a moving truck from truck rental companies, it is also an option to obtain moving labor only. In this case, the movers will help with packing or just loading and unloading, as desired. Professional moving companies specializing in senior moving services understand the unique needs of seniors. They also have experience in handling special situations with extended care facilities, independent living facilities, or senior housing communities and will coordinate with all parties to ensure a smooth relocation process. 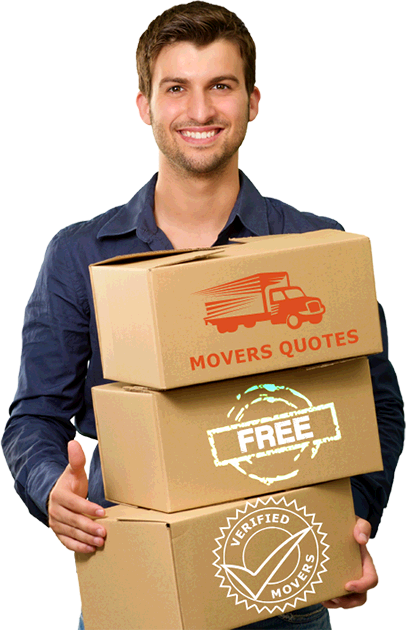 To know more about senior moving costs or the price for relocating anywhere in Canada, you can obtain 5 free moving quotes. By providing the information about your move such as moving date, origin and destination, and other special requirements, our moving partners will be happy to send you accurate and fair moving estimates. Please fill out our online request form to connect with the best moving companies from your area and take advantage of their expertise in planning a stress-free senior relocation.